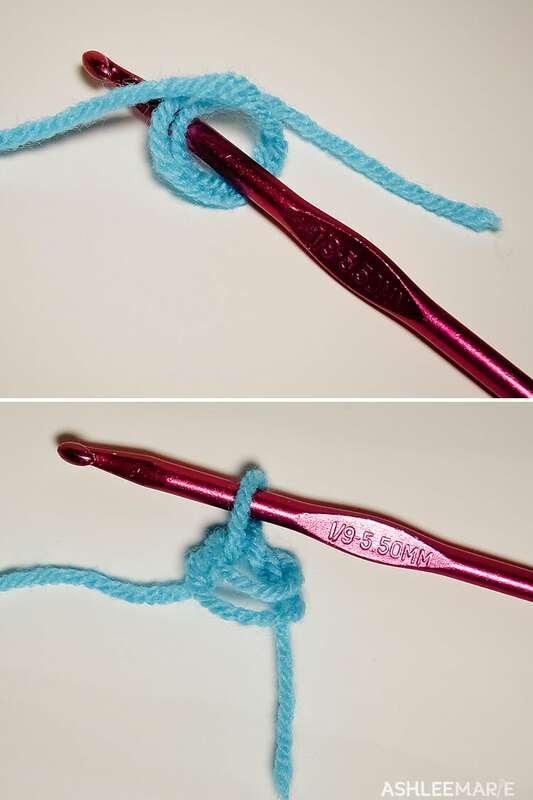 Most people probably start a rounded crochet project in a chain, like ch2, 11 sc in the 2nd ch. It’s great, but it tends to leave a big hole, or gap in the center. 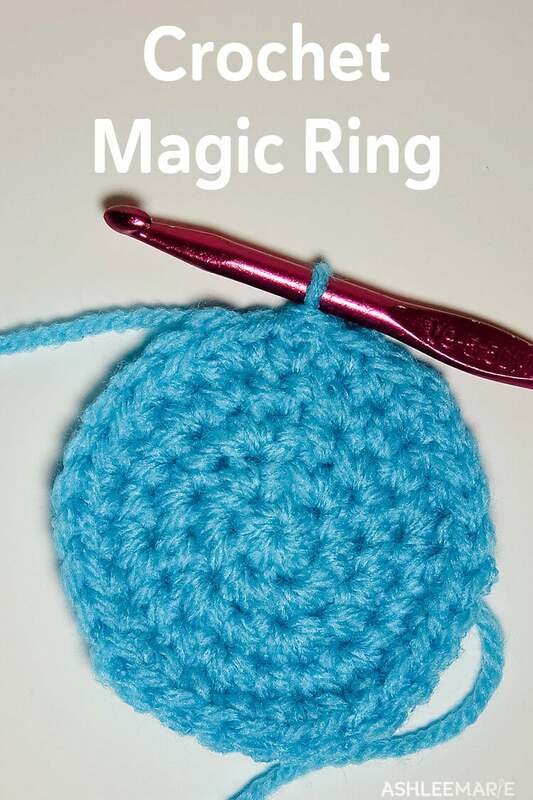 But if you like your center TIGHT you’ll need to use a Magic ring! Then there will be no hole or gap in the center like this. 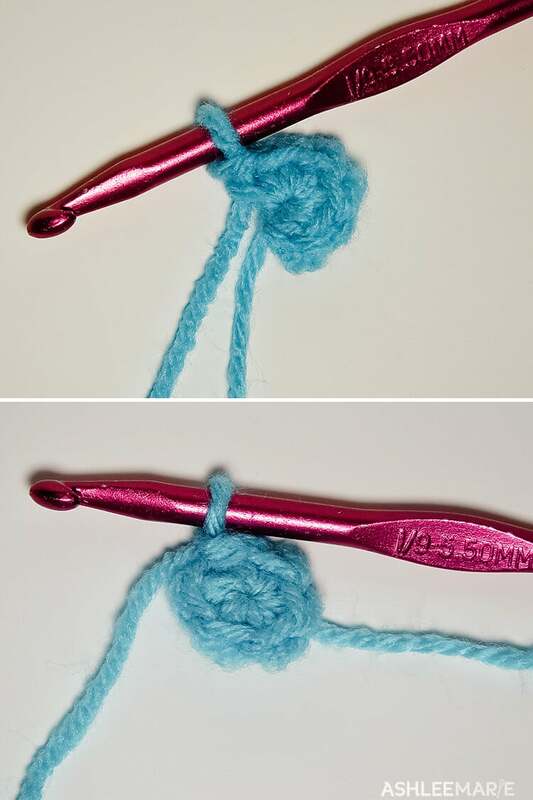 Wrap the yarn around your finger once or twice (I’ve always preferred twice, but it’s hard to pull tight later). Front to back clockwise. Now pull the short end, until you close the circle up tight! Sl st to the first sc and your first row is done! Just wanted to tell you that I have an award for you on my blog. Please visit the following link to see and collect it (scroll down the page a bit). It is such an easy start and makes such a difference! Let me know how it goes! 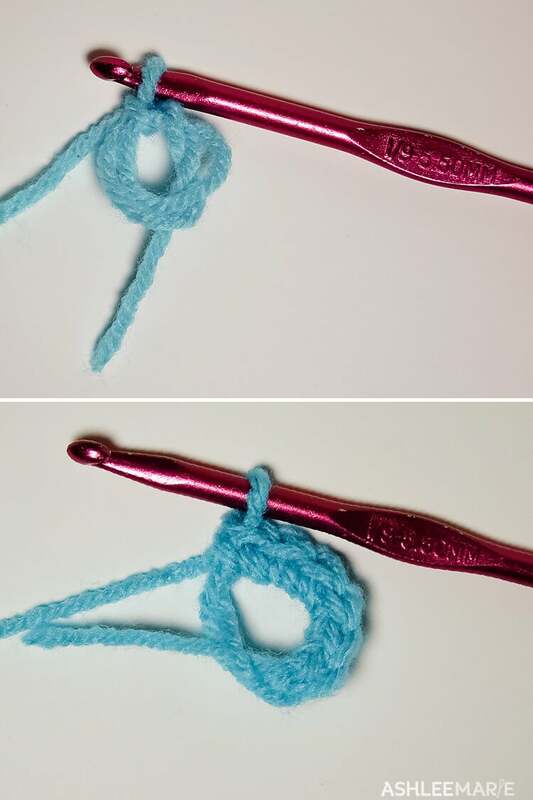 Thank you for sharing bearded beanie pattern. It’s the best hat pattern I’ve found . I won’t need to search again to pllease grandkids now. I made one last night. it was quick easy and very satisfying. thanks so much! I’m writing up a bobble version right now, with different sizes! I’m one last pattern away from posting them! ohhh that sounds like an AWESOME gift!!! This hat is PERFECT for school colors! Please could I ask you to explain the terms ch1 and ch2? I wonder if it’s simply chain stitches, but this only makes my work uneven… Thanks Lone ?